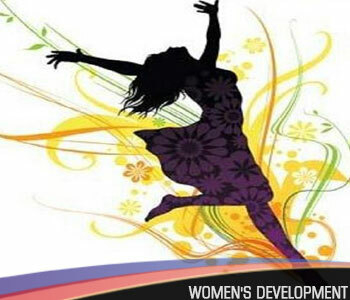 At Prakash College, we believe that celebrating one women’s day in the whole year is not going to make any difference. We need to sensitize students at an early age that men and women are truly equal and create awareness for women’s development. The cardinal role of Women Development Cell is to promote the well being of female students, teaching and non-teaching women staff of our college. To break down barriers to learning and participation for women so that they become fully active citizens, develop skills and knowledge, engender self-confidence and equip themselves to pass on their experience to benefit their families and broader communities. The cell organized a campaign for women with a relishing and fulfilled “Cooking without heat competition on 08th Aug, 15. Whereby students introduced us to their innovations and prepared delicious food items without even cooking. The purpose of the competition was to highlight the importance of energy conservation. This environment friendly competition was a grand success due to the enthusiasm of all the female participants. A women’s development awareness lecture on Women’s Health held by the cell and conducted on 5th Aug, 2016 by Dr. Harsha Hathi of Inner Wheel Club of Bombay. The expert guidance enlightened every female present with all vital information related to some of the various health issues that females tend to neglect due to lack of appropriate knowledge. The session was very interactive as all queries & doubts were answered by the respective speaker satisfactorily. This competition was organized with a view to create an awareness regarding the use of plastic and its adverse effects on our environment. The attempt of awareness in the form of competition on 28th June 16, was successful, since students flourished with unique and various types of paper bags that can be made a part of our daily life. Showcasing our concern towards safety & women’s development awareness, the cell organized a guest lecture by Prof. Nutan Mhaskar on 3rd Oct, 15. The lecture not only provided girls with ample information related to their safety & security but also the rights favouring them and enlighting them the rights they have access to and how to make proper utilization of it in a proper sense. An awareness lecture on Rubella was held by the cell and conducted 15th Sep, 2015 by Dr. Girish Trivedi & Mr. Kirit Sanghvi of Rotary Club of Mumbai & Inner Wheel of Bombay. The expert guidance enlightened every female present with all vital information related to the vaccination. Saree, known for its enhancing quality, is an old traditional and well planned Indian outfit. It is considered important especially for auspicious occasions in Indian custom and tradition. Keeping this in mind, the college organized the Saree Draping Competition on 17th Aug, 2015 whereby the girl students showcased variant styles of draping saree. The different style made the participants looked more elegant, graceful, stylish yet ethnic.